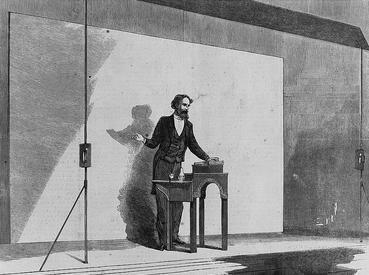 While I can’t vouch for its veracity, the story that Charles Dickens invented the book tour when he started reading–performing–A Christmas Carol in 1853 is a nice one. According to lore, no other major author had read his or her own work to an audience before. I don’t know about you, but that seems like entrepreneurial spirit to me. Over a century later, most of the English-speaking world can’t imagine December without his ghost story. It is undoubtedly a great tale filled with iconic characters and important questions about life choices. Maybe we’d all be reading A Christmas Carol even if Dickens hadn’t stepped onto the stage of City Hall in Birmingham . . . and maybe not. Once you’ve got your galleys and/or ARCS, you’ve got your pub date, and you’re waiting for the actual books to be printed, what are you supposed to be doing? I’m sure with a little googling and some emails,you could secure a stage in Birmingham, but if that’s not your scene, what do you do? Work on your next book! (Yes, Paula, I hear your voice in my head.) Take my–and your–agent’s advice and keep writing the next book, but you aren’t done when the last book is out of your hands. As much as many writers wish that a writing career were just writing, there is that pesky “career” part, too. Like with the writing bit, everyone approaches the career bit in his or her own way, but approach it one must. Glenn J. Miller posted some great advice on the Career Authors website yesterday. (Yes, yesterday. There must be something in the air.) His advice is actually so good, I’m going to suggest that you check it for yourself. Miller advises writers to do three things to get their career going: (1) Create an author platform where people can find you, (2) Write three compelling, related books, and (3) Find fans who love the work you do and delight them. These three simple steps are an ideal way to organize your thinking, but flexible enough to accommodate whatever works best for you. Step two is all about the writing, but steps one and three aren’t. Since my own first book is scheduled to be released this August, I’m hardly one to be doling out advice on the topic, so I won’t. I do know that there isn’t just one way to create an author platform any more than there is one way to write a compelling book or find readers who will love your work. So, I’m spending real time now devoted to finding my way to meet these goals. I’m not quite sure how, yet, but I can tell you I have ruled out reading on a stage in Birmingham.